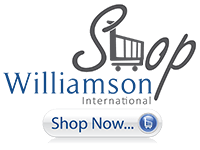 When purchasing garments supplied by Williamson International / The Uniform Company you can purchase in confidence knowing that you will be supplied with a quality product that is made to the highest of standards using only quality fabrics and accessories. With over 45 years in the clothing manufacturing industry we are experts in the trade and we ensure that these same high quality standards are followed by all our local and Off-Shore partners, to ensure you are satisfied with every delivery we provide you. As clothing manufacturing is a very hands on production process, and despite all our quality controls and checks, should there be any items that are delivered with faults which have occurred during the manufacturing process we will work with you to ensure that we rectify the situation as quickly as possible. We try to ensure that all products are of a high quality prior to being dispatched from our warehouse, however if this rare circumstance does occur please follow the procedure below. Contact your Account Manager to arrange for a Return Authority code, print out a Return Address Label from our downloads section, and complete the details, including the RA code. Send the item/s back to us so we can determine if there is a manufacturing fault, if a manufacturing fault is determined we will repair the garment if possible and return to you, if unable to be repaired we will issue you with a credit. If it is determined that the fault is due to general wear & tear, or the garment has been mistreated, this is not considered a manufacturing fault therefore the goods will be returned in the condition received, freight will be at the customers expense. In accordance with Workplace Health & Safety conditions, staff will not handle any unlaundered garments; if unlaundered garments are received they will not be inspected and just returned to the customer at the customers’ expense.